Nicole Conn provides an update on all things preemie, Gwen and more. People ask me this question all the time: If I knew then what I know now about all the ramifications of Nicholas’s birth and subsequent journey — would I still make the same decision to keep him on this planet. Before I answer that question, let me tell you where I’ve been since Nicholas was born and the airing of the documentary little man on Showtime, chronicling his premature birth (born 100 days too early at 1 pound) and now, late summer, 2009 — seven years later. It saddens me to report that my partner of 11 years, Gwen, decided she could no longer be part of our journey, which admittedly was rife with chaos, medical emergencies, nurses in our home, and running a mini-hospital. But I must confess, I was dumb-struck. Hadn’t we just weathered the worst of this and made it to the other side? Didn’t the documentary I had labored over for three years, depleting my now thoroughly exhausted supplies of energy, prove that we had created our very own happy ending? Hadn’t she said we were in it forever, for good or for bad? I guess I wasn’t paying attention. Because as Nicholas turned five, and had finally gotten off the dreaded central IV line, off the dangerous blood thinners for all his clots, and was now attending real school, I suppose I didn’t want to acknowledge that Gwen had checked out long ago. Further she resented that I had destroyed the perfect picture she had in her head of her version of a happy ending, by bringing Nicholas into our lives in the first place. Gwen not only divorced me — but also our son — and the litigation was vicious. She was done being his parent. Two years and hundreds of thousands of dollars later, Gwen and I settled our differences. I was to retain full legal and physical custody of our son, Nicholas, and we would share joint custody of our daughter, Gabrielle. I’m happy to report Justice was served in Nicholas’s case and the legal system has taken good care of him. But through it all, I cried many tears watching a union which had made it through the devastation of a severely premature birth and all its insane aftermath, create an even worse devastation in the destruction of our family. I guess a disabled child inside a marriage can wreak the most extreme and violent reactions. And in time I had to acknowledge my own willfullness — in keeping Nicholas with us — as being the primary reason for the failure of our marriage, not to mention that when a parent’s focus is on their disabled child, it drains the marriage of its lifeforce. I believe Gwen and I have gone on to forgive one another and try to maintain a wonderful partnership in raising our daughter, Gabrielle. But at the end of the day, between the exorbitant legal fees, and taking my eye off the ball in the economic down turn as I focused on Nicholas’ never-ending medical issues during the whole stock market crash, and even after little man debuted, I had lost pretty much everything I’d ever worked for. Last October, during one particularly brutal night, I cried for hours missing my daughter during a weekend she was with Gwen, trying to square custody visitation with the inalienable right every mother has to be with their child 100% of the time. I was keenly aware that as a writer/director I had no “real” saleable skills, that I never so much as wanted to consider a future relationship after the brutal beating I had just gone through, and besides, who would want this tired ol’ mare now a skip and a jump away from 50. What was I going to do? If anything happened to me, no one – not even my family was willing to step up the plate and care for Nicholas. I hit the bottom of rock bottom. Things were as bleak and awful as they could be. Nicholas had a terrible time adjusting to the changes – and couldn’t understand the new house we were living in or that his sister was absent half the time. Gabrielle couldn’t understand why — if I really wanted to keep the family together, that “you don’t just make that happen, Mommy CoCo!” She also could not grasp why her brother wasn’t going back and forth with her between both houses. I was trying to figure out how in the hell I was going to make a living as a frumpy disheveled mom in the land of eternally young and hip. A couple of weeks later of feeling woefully sorry for myself, I got an email telling me that Preemie Magazine had folded. I got out of my own head for a moment and realized how devastating this was for preemie community. The magazine was not only the most amazing resource for our community, but the smartly laid out and gorgeous magazine was the ONLY one-stop shopping for the universe that preemie parents encounter on a daily basis. 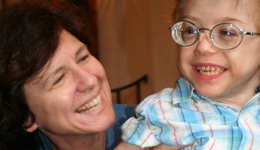 Further, founder Deb Discenza and her wonderful staff had always been so amazingly supportive of little man. I decided to get in touch with her to tell her how sorry I was about Preemie Magazine and lament the frustrations we were both sharing. Deb’s amazing and a force of nature and was still going strong helping the community with her work at MOST (Moms of SuperTwins) and PreemieCare.org. We ended up yattering on the phone for almost two hours. That single phone discussion changed many things for me. Deb and I continued to chat (always endlessly) and discovered beyond our insane dedication to our preemie kids, that we both still desired to work inside the community and to create much needed products for the community we know so well. We quickly realized that our working styles suited each other perfectly, that our intense dual-Scorpio drive would be just the engine we needed to propel this vision forward. And our mutual admiration society would be the harmony we needed to bless the creation of our new ventures: PreemieWorld.com which will become the go-to spot for all things preemie along with our blogs where Deb and I can discuss all the many issues we personally encounter daily as mothers of premature infants. The Preemie Parents Survival Guide to the NICU – How to Maintain Your Sanity & Create a New Normal — was the brain child of Deb’s and my many discussions. We so badly wanted to provide what we had both wished fervently we had during our stay at the NICU: another parent, helping us through the insane journey of being in the NICU, holding our hands. That is what The Surivival Guide is: holding your hand through this same journey. PreemieWorld.com will also host the little man DVD and soundtrack as well as the celebrated NICU Preemie Tag. Our Preemie Power Newsletters will launch in the next couple of months and will be filled with articles, discussion, forums. You know the ol’ adage, when one door closes. In this case, it could never be more true. Deb and I are thrilled to present PreemieWorld.com to all of you, and especially those of you who have written or emailed us to share your own extraordinary Preemie journeys. We are so excited to reconnect with all of you and to have all of us share the joy, heartaches, stresses, and triumphs that are cornerstones of the uniquely fascinating journey of the Preemie Parent. And the answer to the question I posed above? Nicholas is, and always will be, the single most generous spirit I’ve ever encountered. At 7 he is finally speaking – not just words, but purposeful communication! Yes it’s still a mix of Nicholese and some awesome new words; (“banana, rectangle, no pinching-just kisses” ). He sings incessantly… He reminds me daily not only to breathe life in–in the moment—but to do so with calm, grace and the simple purpose of being. His gentle smile and guttural chuckle are infectious and I cannot NOT smile when I’m with him. Gabrielle still remains my heart – Nicholas my soul. So the answer is, yes, even if I knew then, what I know now — I would do it all over again, in exactly the same way, in a New York second. Just wanted to say how moving your documentary was…bravo…I’m a professor and was looking for material for a spring class I teach–US Pluralism, focused on the issues that connect and and/or divide us…came across your documentary. Thank you …and the best to you and your family. Thanks for the update Nicole. I watched and then purchased your DVD, Little Man, a couple of years ago and often wondered how Nicholas and your family was doing. I am sorry to hear how things turned out for you. Good luck and best wishes to you and your children in this new phase of your life. May you have tremendous success. Grandmother of 2 children who spent time in the NICU. I wish you and your Gabrielle and Nicholas a happy fruitful life and may you never forget what really matters. I just finished watching your beautiful film little man. All I can say is keep listening to that mother’s voice that is so strong within you. Your work matters and your son will thrive in his own way with the gifts that you have given him. Blessings to your family. I am so happy to learn about Nicholas’s progress. Oh what a mother’s devotion can do! I am trying to write this with tears running down my face. I just watched Little Man and am in awe of your beautiful and strong children. What an inspiration Nicholas is. But also, what an inspiration you are. I am a lesbian so children ,while always a dream of mine, were not something that I would be blessed with without the help of modern science. Unfortunately I was given a pretty bad diagnosis on the reproduction front and had to have a hysterectomy. I know now that I will not be blessed with children but I would have welcomed a “Nicholas” with open arms and an open heart. I am so sorry that your ex-wife was not able to appreciate the gift of that amazing little boy. It breaks my heart that someone could or would ever divorce a child. Not being able to have children when it is something I want so badly on such a primal level the degree of selfishness and lack of humanity in divorcing a child makes me angry and soul sick. Nicholas is so very lucky to have you as his advocate and his Mother. The same goes for your daughter, you have shown her the beauty of unconditional love by your fierce love for her brother. I believe as she grows up this will have a profound effect on her, knowing that no matter what happens in her life she has a Mother that will love and fight for her no matter what or no matter how hard the road may be. Such a gift is priceless. I wish all the best for you and your children. My hopes and prayers will be with you on your new endeavors. Thank you for sharing your story and thank you for being such a light in the world. I am positive Nicholas’s beautiful smile and that infectious chuckle will stay with me always. I just viewed “Little Man ” for the first time. What struck me most was the dichotomy of values Gwen and Nicle brought to the table. One may debate any number of issues that the film raises, but Gwen’s limited ability to let go of a concept of perfection in her life struck me squarely. Eventually, we all hit an obstacle that changes our view and acceptance of the order of our lives; Gwen will find that more and more such obstacles arise in her life until she finally lets go of her need for perfection and control. Then she will see the wake of destruction she has left behind. Within it will undoubtedly be some loss of the respect of her daughter, who, fortunately, has one mother who can genuinely show her that true love is unconditional. Nicole, your heart may ache, but this story, like all stories, has good and evil, though in shades of grey, and you are definitely wearing a whitish hat. You are rich, and Gwen has lost everything. I feel sorry for her, but I am not surprised at her choice. May all of the best continue to bless your loving family. I emailed you probably around a year ago telling you how much I admired you and “Little Man”, Nicolas. My son Anthony is a former 26 weeker (now 2 1/2) We are still dealing with “issues” from prematurity, although nothing long term. Anthony does have some low tone which he is going to OT for. He also has been diagnosed with childhood speech apraxia. Which he receives ST for. At 2 1/2 he is finally babbling on a consistent basis. How I dream of hearing my son say “i love you mommy” one day. You mentioned Nicolas started talking late, do they know why? I’m always looking for other ideas. Anything to help my son and make things easier for him. If you could email me at the address I have left that would be wonderful. I’m so sorry to hear of your divorce. After I read this and my husband and son came home from an errand, I met them at the door and just hugged them and told my husband what had happened between you and Gwen. Having a sick child is never easy on a marriage. My husband has gone to counseling because of the loss of our daughter (anthonys twin) and also dealing with anthony’s prematurity. He’s also developed 3 ulcers from stress and he’s just not emotionally the same. He’s built up some walls so to speak. I can’t blame him, who wants to feel that pain again? The last 3 years have been hard for our marriage but I’m hoping we make it through. I am pregnant with another little girl, and I am 30 weeks right now. We are hoping and praying this is our redemption so to speak. She was a surprise pregnancy (after having to do IVF with Anthony) so we feel this is our daughter Hailey trying to heal our hearts. We will see! Again I just wanted to thank you for being such a great inspiration to preemie moms. I am thankful for you doing a documentary on prematurity! While it is something we would never choose to go through, I know it changes who we are. Makes us stronger, more patient, more caring human beings. Just watched “Little Man”. Thank you for showing me a personal glimpse into your life. You are incredible and inspirational. I guess I just wanted to say “Hang in there”. You are a very lucky woman to have someone like Nicolas in your life. I watched your documentary “Little Man” during my maternity leave. I cried so much but not for the things you went through but for what you willing to do for your son. I gave birth to 39 week 7lb 5 oz amazing baby boy Marcus. I never imagined what THIS kind of love would like. He has changed my world forever. He is my life, my new life, my purpose to live. I thank god for mothers like you, who would do anything for their child. You are a wonderful woman and have touch my heart. I am sorry to hear about Gwen and find it heartbreaking that she would completely disassociate herself from Nicolas. After all his been through really Gwen??? Well, I am up this late hour, and just wanted to share my thoughts. Thank you Mama Coco. I am honored to know you and call you a friend. You know my thoughts regarding Gwen. Everytime I view “little man” or screen it for friends and associates, I hear the same things….”How wonderful Nicole is.” I couldn’t agree more. This should be required viewing for all who have or encounter preemie children. Most do not see the “personal” side of caring for someone like Nicolas….the long hours, the cost, both personally and financially, and the loss of private time for a family. It is wonderful that you now have someone in your life who truely cares about both of you. Maybe a follow-up film should be in the offering? Nicolas is a special son and he has a VERY special mother. I just watched Little Man and as a woman who had a preemie I can’t tell you how much it touched me. My son was born at 32 weeks and spent four weeks in the NICU (nothing compared to Nicolas but forever to us.) I wish I would of know of this site 3 years ago when he was born, I longed so much for someone that understood. Your movie brought so much of the experience back to me, the shock the first time you walk through the NICU doors, the first time you feel your baby’s skin pressed against yours, and the emotional roller coaster that is the relationship you have with your nurses. I am so happy to see your son doing well and so sorry to hear of your divorce. However, from what you showed in your movie I can’t feel sorry for Nicolas for he is so blessed to have you. I joke that through my difficult pregnancy I willed my child into life, and from what I saw your will got Nicolas through. He fought because you gave him something to fight and live for, the purity of a mother’s love. Thank you for sharing such a personal thing with us, and thank you for all your doing for this community. Your courage and determination is absolutely out of this world! My heart goes out to your beautiful family. My wonderful twin daughters were 13weeks early and tipped the scales at two lbs. The NICU was our home for 59 days. The nurses and doctors became and will always be a part of our family. They will be turning two at the beginning of september and there is not a day that I dont thank god for them. Your sweet little Nicholas in the NICU made my heart ache for you. Keep strong and many positive thoughts are headed your way. He is an absolute inspiration! Thank you for making the movie “little man”. In my circle of new mommy friends (our 4 kids are all 3-5 months old) one child was born with some pretty big physical obstacles and spent his first 12 days in the NICU. My friend’s parenting experience has been so different from my own and even though I support them and spend time with them as much as I can, your movie illustrated so honestly and generously how life changes for families who have kids with special needs. Thank you for opening the door into your home and family life. I know your life has changed since your split with Gwen and your new parenting situation but I’m hopeful that you continue to be surrounded by friends and family who love and support you and help you thrive, too! I ran across Little Man purely on accident while searching for something to watch on Netflix. Your beautiful documentary has opened my eyes to another view on resuscitation of micro-preemie newborns. I am a labor and delivery nurse in a high risk hospital, so naturally I am part of the delivery of these babies as well as a witness to the parents being faced with making a horrific decision of whether or not to resuscitate a newborn, one only on the cusp of viability. It is heart wrenching just being on this side, and I cannot imagine the tearing of the soul such a decision would cause. I was awe-struck by your certainty, your dedication, your unfailing constancy in Nicholas’ life. I have always thought if I were faced with such a situation that I would choose to allow my baby to peacefully die rather than put him through what I have viewed as intense torture. I have 3 children, all of whom I carried to near term, and all of whom I love just as deeply as you love Gabrielle and Nicholas. I do not know if I would have been strong enough to witness them living a life involving such physical pain, nor strong enough to provide what you have provided for Nicholas since his entrance to this world. You are simply amazing. I am so glad that Nicholas has you for his Mom, and it is so obvious that you are both bringing such light and joy to other peoples lives that there is no doubt that fighting for that amazing little man’s life was the right thing to do. I believe that you have changed lives, that you have made a huge difference for others going through this, and that you will continue to do so. May God continue to bless you and Nicholas and may you continue to reach those who are in desperate need of support. I cried during several parts of the movie, every time I saw you holding little Nicholas in the NICU, I felt your joy and intense need to comfort him and keep him safe. I totally understood that you could never leave his side or even consider a DNR. I was equally mystified my Gwen’s utter preoccupation with herself and her desires. With her it was “me me me me” and I became increasingly disgusted with her as the film progressed. I fell in love with Nicholas’ bright eyes and wide smile and am genuinely glad and inspired by the unconditional love and devotion you exemplified. I wish you and Nicholas the very best. I just finished watching little man for the first time and cried throughout the entire film. I feel as if I am part of your family thanks to your captivating style and flow. I am saddened to read this update regarding Gwen, and pray for strength and love of your family with Marina. I look forward to continued updates about how Nicholas will undoubtedly continue to touch and change the world as he grows up. Thank you for letting us into your world. I just wanted to comment how awful I think it was of the surrogate and/or the agency to misrepresent her health. This is unconscionable and disgusting to abuse the trust of someone so badly. It just made me mad. I\’ve already emailed you to tell you how much I identify with your \”mother\’s love\” & how beautiful I thought the movie was! Much love & luck to you. I am so sorry your wife left you and rejected your son. I could see that that would happen just watching the video. She was so week. Truth is she doesnt deserve a family if the is isnt willing to take the good with the bad. You are an amazing mother. You are my hero and roll model. It must be so hard watchinf her accept one of your children but not the other. She is selfish. She is not thinking of how this affects gabrielle or nicholas just herself. I would have stuck by you. I too am a single mother of two. I know how you feel thinking that no one would want you being aused up tired mom. I often feel the same way. But your true soul mate is out there. Keep your chin up. I stumbled across “Little Man” on Netflix and just can’t tell you how amazing your film is. I gave birth to three preemies in the 80s and 90s, and would have loved to have been “prepped” for the journey. Thank you for sharing your heart and soul. You are an amazing human being. How blessed you, Gabrielle and Nicolas are to have each other. Thank you for sharing your experience with the world! Nicole, I too am a great fan, in addition of being completely in awe of your commitment to Nicholas. Some have been rough on Gwen but, there are those that do not have the emotional strength to face a lifetime of commitment to a special needs child. At least she had the insight to recognize that she could not do what was expected of her as Nicholas’s mother. For her to walk away as she did, must have meant that she was completely depleted…. to the point of being unable to co-parent Nicholas. I pray that Marina has filled the gap for both of you. God bless you and Nicholas. As an occupational therapist I can appreciate the energy and strength that is required to raise a child with such high needs. I think the situation with Gwen is so complex and has so many layers. Although people are making judgements and noting that she is weak, it would have taken strength to recognize her limitations and walk away. Sometimes watching someone suffer (ie. Gwen’s perception of nicolas) is too much to bear— the fact that she cannot control it would likely provoke so much anxiety for someone like Gwen that it is logical for her to just check out or dissociate. I think people do the best they can with the coping skills that they have. If I was in the same situation, I know the lack of control and non-predictability would have really impacted me. I don’t think we can make a judgement that she is some monster though. I really and truly believe that her love for you in the beginning was stronger than her recognition of her own limitations…and in that one way she was selfless. Best of luck to both of you and your family in the future. What a beautiful film, Nicole. Congrats to you. It stands the test of time. Although I can appreciate that special needs children present great challenges to parents, and that some couples can’t survive that stress, I find it gruesome that Gwen not only divorced you but also Nicholas, solely because of his disabilities. I have great compassion for her because I could just imagine what her conscience must be like to live with for the rest of her life. I can see giving up a special needs child to the state if one is destitute and believes that adoption or even state custody would give the child a fighting chance. But to do that as an uber-wealthy person? If that is not the definition of self-centered narcissism, I don’t know what is. I guess Nicholas was too inconveniencing. A burden. An embarrassment. An imperfection in an otherwise charmed and perfect life. I find it utterly horrifying. Again, I have great pity for the stress that both of you endured, but her haughty, impatient, utterly un-nurturing behavior in the film, combined with the news of her “divorcing” of Nicholas, paints a very ugly and even grim picture. God save her. Best wishes to you and to your family! As a follow up to my earlier comment, I want to be clear that I really do have compassion for Gwen. Perhaps, as others in this discussion thread have surmised, she felt trapped with no good option. Stay, and remain overwhelmed and miserable? Or go, and carry the guilt and shame of abandonment. She must have found the situation so entirely unbearable that she found the guilt and shame bearable by comparison. I get that now, after doing some more thinking. I feel for her, and I feel for Nicole, and I apologize for my initial callousness. I would think, and hope, too that Gwen can support and help her erstwhile son and co-parent in other ways, going forward, so that there could be reconciliation and healing. I wish them all the very best. I remember watching “Little Man” years ago, and aside from the major impact the film delivered (the gift of a child, no matter the cost, is a treasure beyond anything else on earth and worth the price it demands) I remember being vaguely uncomfortable by the behavior of Gwen, who appeared as cut off and cold as Nicole seemed invested and warm. Years passed, and after catching a glimpse of the documentary on some cable channel I wondered at the status of the family. I was thrilled to read of Nicholas and his growth and achievements, and completely unsurprised to hear that Gwen had checked both as partner (forgivable…it happens in the best of marriages) and as parent to Nicholas (unforgivable…shame on you Gwen). I’m glad that life continues to be kind to you Nicole. God bless you and your kids. I think it is amazing that you did not give up. I had daughter in 1996 born 6 weeks early she was born with unknown muscle disease was in 3 different hospital none of them knowing what was wrong with her. The last hospital she was in she was in there NICU because of her size. she always had wires everywhere. She finally got to come home at 7 months with lots of machines. She was in Iron Lung to help with her breathing plus oxygen 24/7. Sadly she passed away 23 days later. The time she was in Hospitals i too was mainly alone only the doctors and nurses for support my husband was not as strong as me. Even though my daughter was very sick and they did not know i never gave up hope. I have people ask me the same question they asked you if i known she been born sick would i have continued the pregnancy i said yes. she knew her name, she smiled when you would talk to her. Unlike you me and my husband made it though everything she been gone 19 years now. I am glad you are with someone now who can deal with everything that is still to come. I met lot of parents who could not make it they can not believe that we are still together. I’m a university student. My mayor is in Education. I have a child who was born 90 days before. He stayed in the hospital for 21 days and after watching your video and learning about Nicholas, has made me more convinced that I’m in the right field. Thank you for sharing the update. Nicholas is very fortunate to have you as part of his life.